I can officially cross the guest bedroom off of the to do list because I am finally done…well 95 percent done. I have been busy caulking, sanding, painting and decorating and I am ready to share the results with you. I still have one wall that I’m not done with and I’m not sure what I’m going to do with it, but I’ll figure it out sooner or later. 😉 Finding the right pieces to add to a room always takes time. This room is one of the nicest in the whole house with a beautiful built-in bookcase, crown molding and great natural light. The negatives are that it doesn’t have a ceiling light, it’s on the (very) small side and there were some large holes and an ugly outlet in the middle of one of the walls. 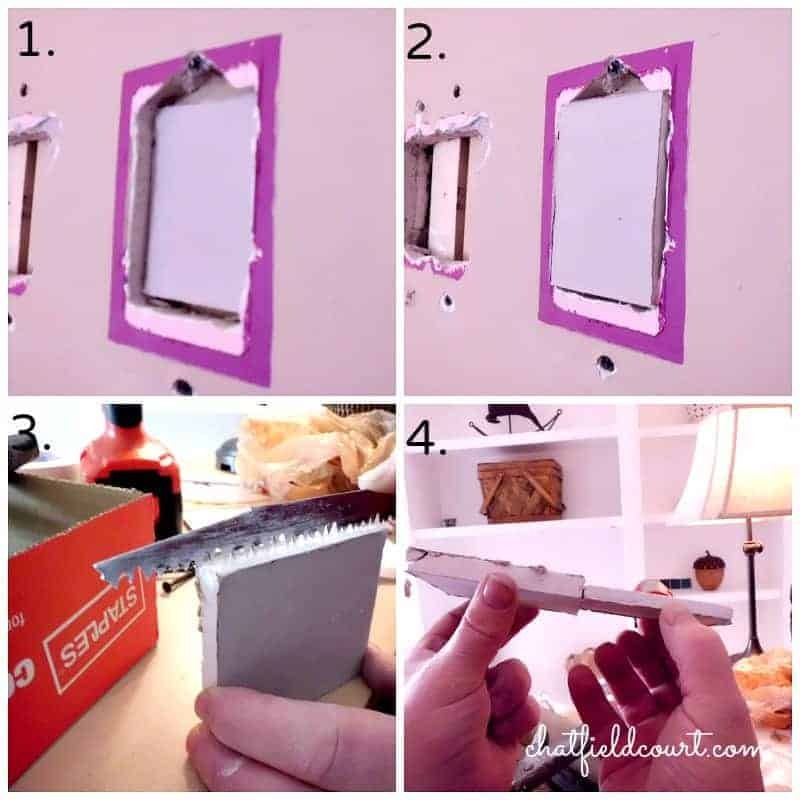 We weren’t going to add a ceiling light right now and I can’t do anything about the size, but we could fix the large holes and ugly outlet in the middle of the wall. I started this room redo by making my very first mood board. 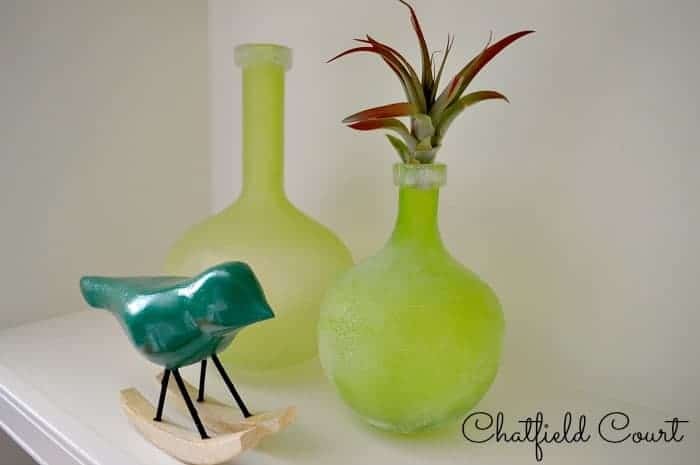 The green lamp was my inspiration color and I knew that I wanted to try something different and go a little bold with the paint. 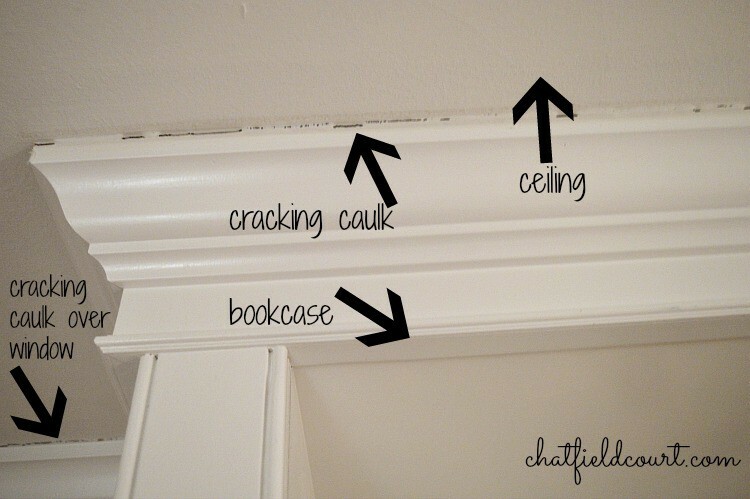 The first project I tackled was to remove all of the cracked caulk around the ceiling and the bookcase and to recaulk. Next, the hubs worked on moving the electrical outlet for me and replacing the other faulty outlets. After we finished patching the humongous holes in the wall, it was time to paint. First I painted the ceiling and then it was onto the crown molding and the bookcase. Next came the good stuff…color on the walls, and I ended up choosing Martha Stewart Plumage, mixed in BM Regal. I almost chickened out going that dark and bold but I’m glad I didn’t because I love it, the room gets a lot of light and there is a large white bookcase so it doesn’t seem dark at all. As far as furniture goes, I ended up using pieces that I already had. The antique iron bed was found 2 years ago at a flea market. We just cleaned it up and spray painted it silver but I may end up changing it. I had a big dresser on the one wall that was going to be replaced with a smaller one but I’m not sure if I want to put anything there again. It’s a small room and it’s not an absolute necessity to have one so I’m undecided. I also gave the nightstand a much needed makeover, I wrote about that here, so there was no need to replace it. Some simple, classic, white bed linens, fun accessories for the bookcase (still tweaking that), a mirror for the wall along with some vintage travel posters, and new hinges and door knobs. Enough of my jabbering, I give you the guest bedroom reveal! So what do you think of the dark color? 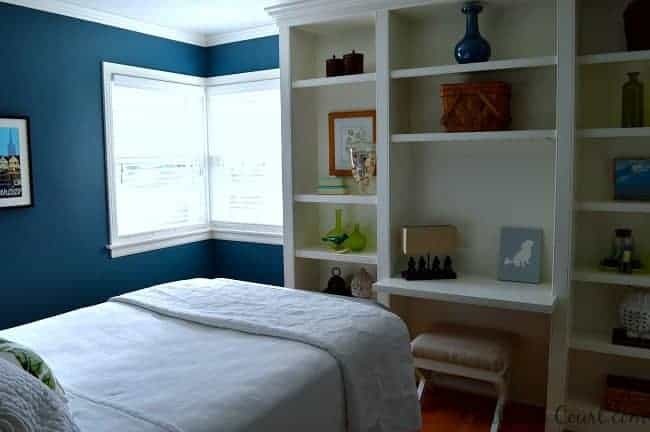 Have you taken the plunge and painted a room a bold color when you weren’t sure about it? If you want to see more room reveals, you can check out our kitchen remodel and our sunroom makeover in our new cottage. Hi Judy. So glad that you liked my guest bedroom. It was a lot of work but I’m really loving the results. Thanks so much Haeley and I appreciate the bookcase styling mention. 😉 Your color combo sounds great too. I’m going to head over to visit you right now. 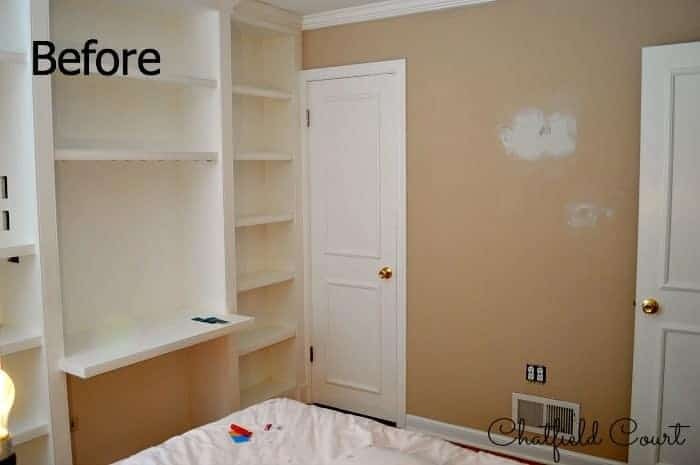 I love the color you used on the walls & those built ins are fab!!! Gorgeous! I love the deep blue walls with white trim and pops of lime in the accessories. Thanks for sharing! Thank you Alison. I really love the space. That’s a really nice wall color. Love the green accents too! Great job! 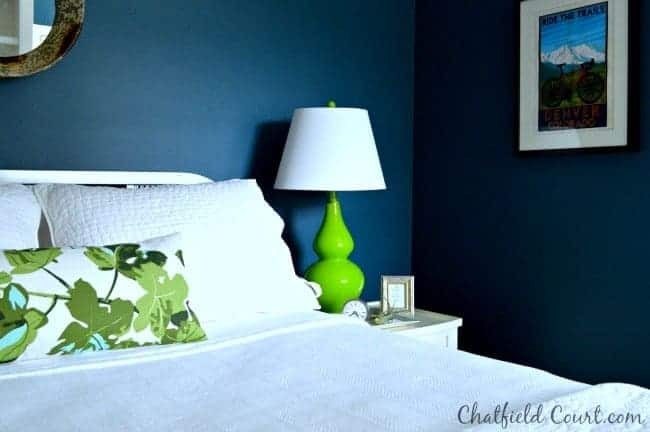 We just redid our guest bedroom and chose a similar color scheme with navy blue and vibrant greens. 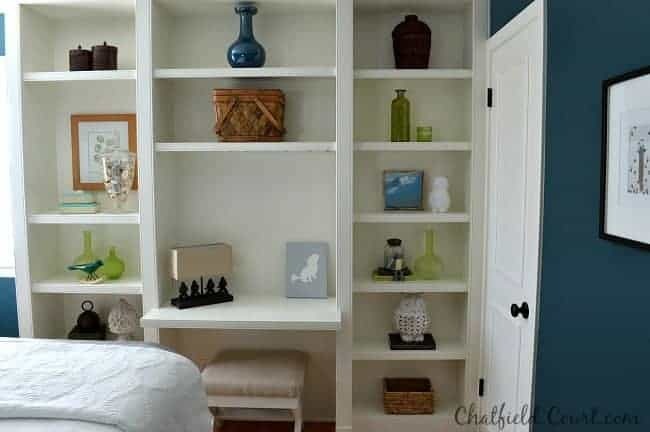 The shelving unit in your guest room is to die for! And you styled it so perfectly! Love it all! What a pretty room, very crisp and clean with the bold blue and white woodwork. 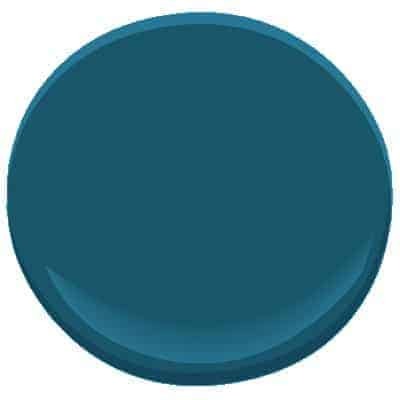 The blue is very similar to the colour I painted my husband’s office. It took some getting used to even though I like to see colour on the walls, but now I can’t imagine it any other way. Great choices on the artwork and accessories too. Hi Shirlee. Thanks so much for the lovely comment. I was nervous to put the color up but I loved it as soon as it was done. I’m glad the room is done but the next room, my 2nd guest bedroom, has some major wall issues to deal with. Ugh…not looking forward to it. I hope to share a mood board for it soon. I always appreciate your visit. I love this shade of blue on the walls! Commiting to such a dark hue is scary but wow…it looks amazing. What you did to the nightstand with paint sticks blows my mind. It looks great. Thanks Tina! It is scary committing to a dark hue but now that it’s done, I’m glad I did it. The nightstand was a fun project and I like that it was free. 🙂 I didn’t have any real expectations before I did it, but I love it too. I’m so glad you stopped by and appreciate your comment. Thanks so much Shanice. I will certainly check out your link party. Wow!! What a lot of work. The colors are so bold and lovely. Thank you for sharing. 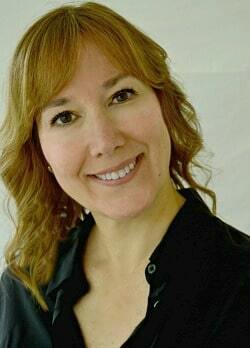 Thanks so much Kathi! I appreciate you visiting. Thank you, Corey, for the nice comment. I will be sure to head over to the Makers on Tues. morning. Thanks so much for the invite and for visiting Chatfield Court. You are so sweet, thank you Marty. I always appreciate that you host Inspire Me every week. This turned out just gorgeous!!! 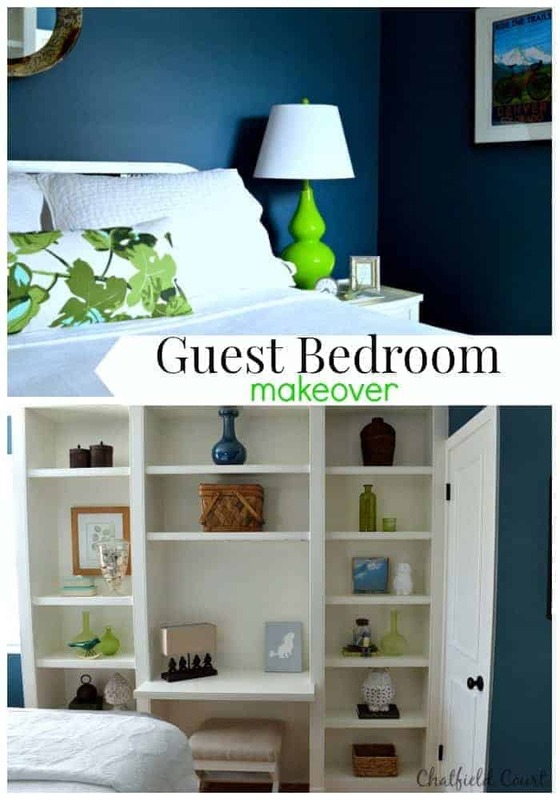 LOVE the built ins and love the wall color – just beautiful! Thanks so much Suzan for the lovely comment and for visiting from My Uncommon Slice of Suburbia. LOVE that wall color! If you have great natural light, I think a strong wall color is so pretty! The green accents are perfect and it’s just so cozy and clean looking! Great job! Thank you Abby. Green is my favorite color so I am glad that I could use it with the teal/blue walls. So glad you stopped by. History & Home link party, Tue-Fri, weekly – join us! Oh no Dawn. It’s not fun to put the time in painting a room and it doesn’t work out. Thanks so much for the lovely comment. I’ve really enjoyed watching the process on your guest room. It looks wonderful! Thank you Jennie. I’m so glad you enjoyed it. Gorgeous job! Love the color. I’m usually a little scared of playing around with bold shades of blue, but I’ve been thinking about going for it for a while now. This inspires me even more…and the bookcase looks great! Thanks Carisa. You are one smart cookie! 😉 I see that you got your smiley face to work. So great of you to stop by. I love the room and the nice color. My dining room was navy blue until a few years ago and we loved it. I love the built in bookcase. What a nice feature to have. Thanks Kim. I am loving it, more than I thought I would. I love the bookcase too but styling it for a blog post…not so much. 😉 I appreciate your visit.